The Emsland nuclear power plant in Germany has been taken off grid after leakage was detected, according to its operator RWE Power AG and the German state of Lower Saxony's environment ministry. The 1,400-megawatt plant located in northern Germany near Lingen was taken offline at around 1 pm local time (11:00 GMT) on Friday. The plant’s operator said it was shut down as a precautionary measure, after a leak was detected in a sample line used to monitor the boron content of reactor coolant. According to the environment ministry no radioactivity escaped from the plant. An investigation into the causes has been launched. "When the plant can be restarted depends on the results," the ministry said in a statement. The Emsland nuclear-power plant was commissioned in 1988. It produces 11 billion kWh of electricity annually for nearly 3.5 million homes. 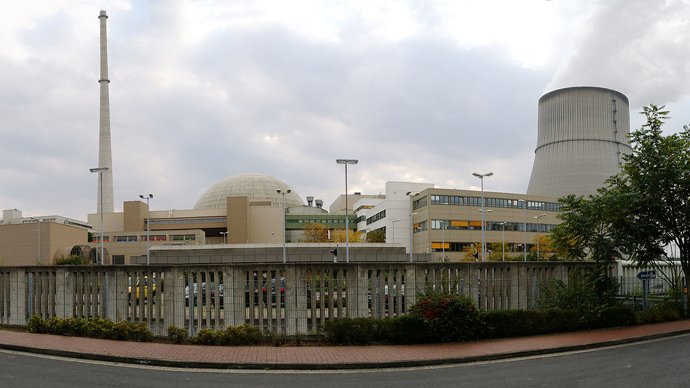 There are two nuclear power plants in operation in Lower Saxony. The other one is the Grohnde facility near Hamelin. Emsland is set to be shut off permanently in 2022 as part of Germany’s phase-out of nuclear energy.